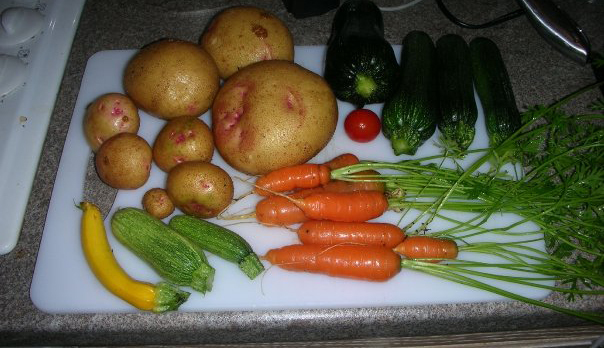 I am REALLY going to miss my garden. 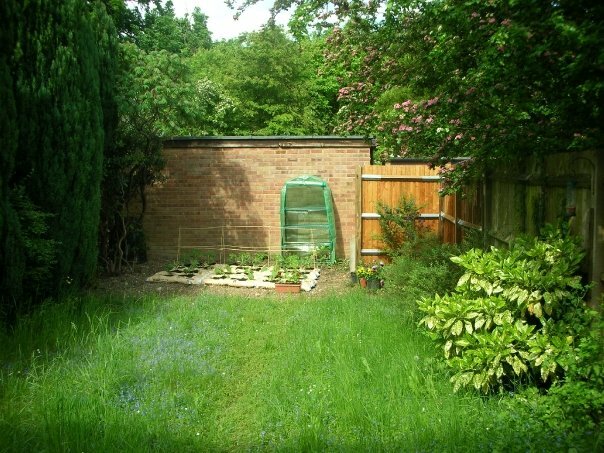 We’ve been house-hunting almost 3 weeks now and the one thing we simply can’t compromise on is having a garden, or at least some outside space. I want to be able to grow veg, sunbathe and read outside, the Dutchie wants somewhere to put his BBQ 🙂 and Paris is an outdoor cat. She would go crazy staying in all the time, so it’s top of our priority list to have a garden. Also, once you’ve had one – it’s very hard to go back. The Dutchie used to live in an apartment on the 4th floor in Hilversum (around 30 mins from Amsterdam) where he only had a balcony. Now he’s used to having that extra space, he doesn’t want to go back to an apartment either! 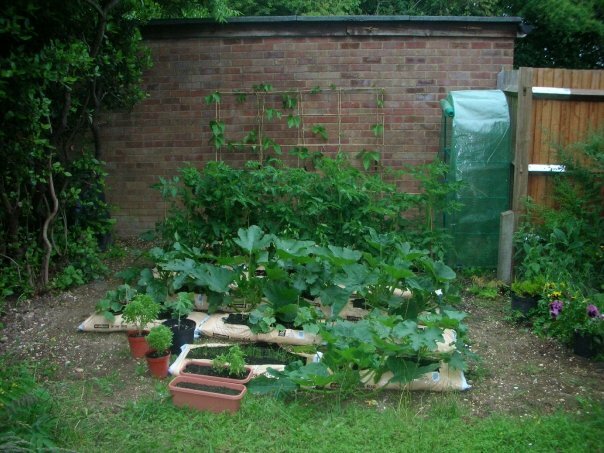 Our current garden is pretty large, considering we only have a one-bedroom flat. In fact, our garden is probably as big as the flat itself!! All pretty successful except the tomatoes. Somehow I could never get them all to go red… and I tried all the tricks (bananas, dark place, cardboard box etc) but alas, I still ended up with loads of green ones. 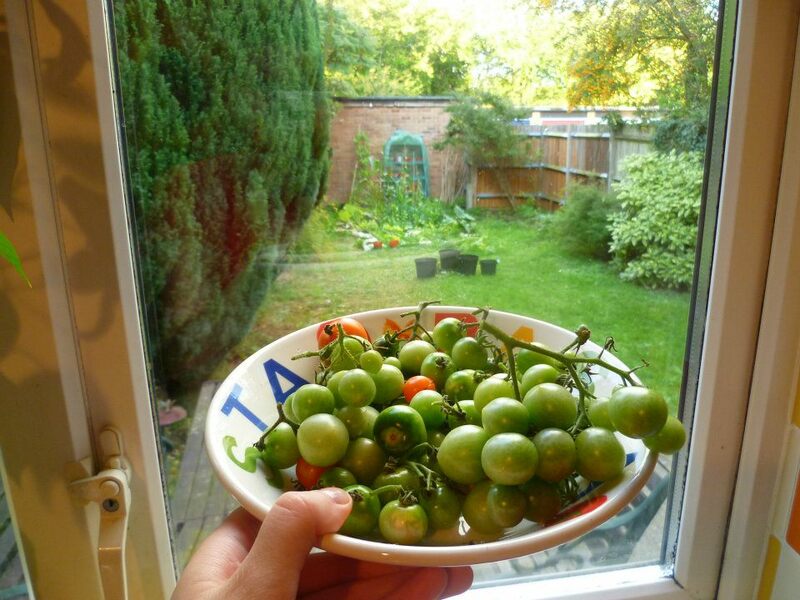 There was a simple answer though – I just made green tomato chutney! So, the search is on to find a place in Netherlands with a nice garden. Can we find an equal (or better) view? Fingers crossed!